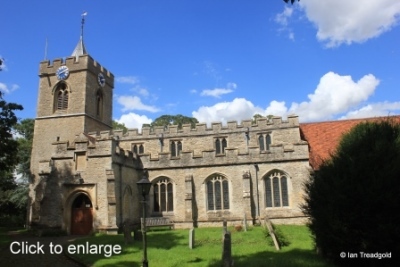 The church of St Leonard in Stagsden is situated in the middle of the village on the High Street. Parking is available on the road outside the church. The church consists of a nave and chancel, south aisle and porch, north chapel and west tower. The chancel is around 36 feet long by 16 feet with the nave adding some 62 feet and a further 4 feet in width. The south aisle is around 11 feet wide and the north chapel is also around 11 feet wide by 26 feet long. The tower is around 12 feet square and some 70 feet tall to the spire. 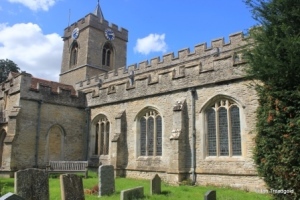 The origins of the church date from C13 with the chancel, nave and tower dating from this period. The south aisle and porch were added in C14 with the C13 door moved when the aisle was added. In C15 the north chapel and clerestory were added with some rebuilding of the upper parts of the tower. 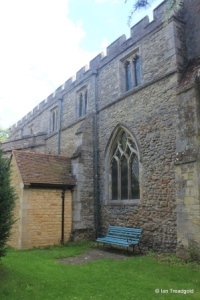 Naturally there have been repairs and restorations over the years with the clerestory rainwater heads bearing testimony to this with a date of 1790 in the ironwork. 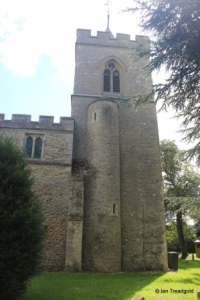 The church is built of limestone rubble with some ashlar dressings notably to the tower. 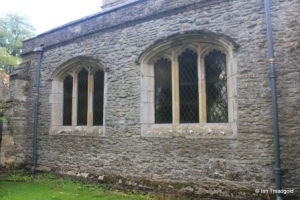 The south aisle has three large windows east of the porch and a further one to the west. There is no east window in the aisle but there is one to the west. 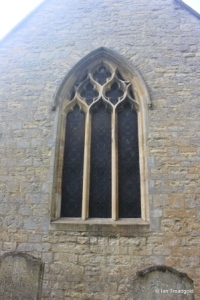 The four south windows date from C15 and are all of the same style with each being of three cinquefoiled lights with a small amount of perpendicular tracery above under a low four-centred arch. Three of the four have stained glass. 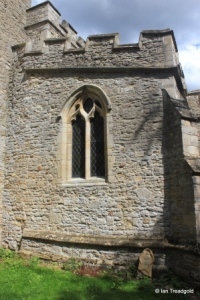 The south porch dates from C14 and has blocked two-light windows to the east and west. 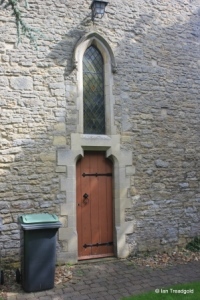 The porch doorway is under a restored square head with trefoil designs in the spandrels. There is a square headed statue niche above the doorway. 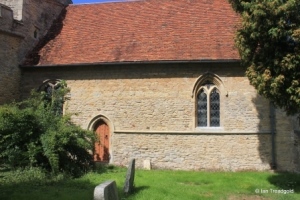 The porch itself is gabled and like the aisle, nave and tower has an embattled parapet. The west window of the south aisle is of two trefoiled ogee headed lights with flowing tracery above under a two-centred arch. 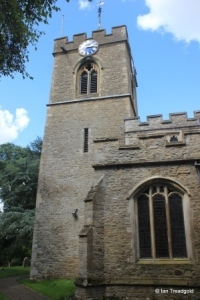 The tower is in three stages with a small lead spire and large clock faces to the east and south. There is an internally accessed round external stair in the north-east corner. 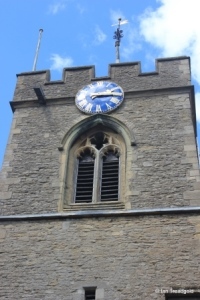 The clock dates from 1872 and was put up in memory of local landowner Lord Dynevor. The belfry lights are of two cinquefoiled lights with a quatrefoil design above under a two-centred arch. 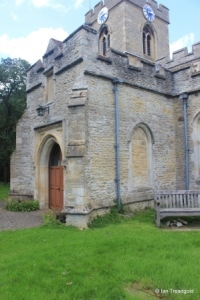 The shouldered west door and single lance window above are heavily restored. 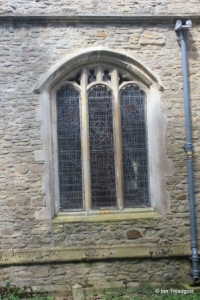 The chapel has four similar windows, one each to the east and west and two to the north. Each is of three cinquefoiled lights without tracery under a four-centred arch. 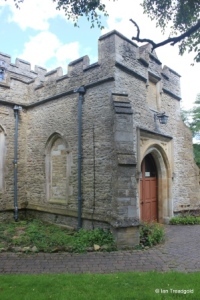 The view on the north side of the church is crowded with a modern room opening the old blocked north door and the chapel further to the east. 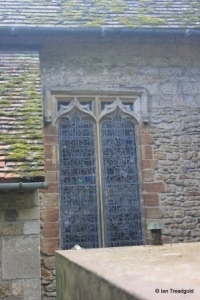 There are two windows on the north side of the nave surrounding the site of the north door. The western is of three cinquefoiled lights with flowing tracery above under a two-centred arch. 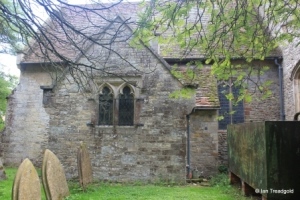 The eastern is narrower and hard up against the chapel implying the chapel was a later addition and dates from C15. 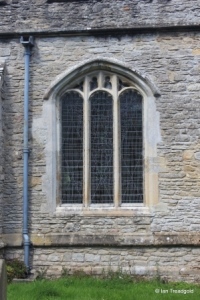 The tracery in the eastern window is less ornate than its western companion. 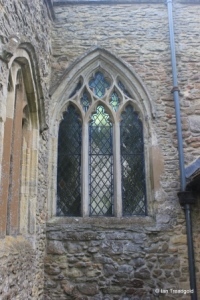 The north side of the chancel has one window at the western end of the chancel of two trefoiled lights under a square head. 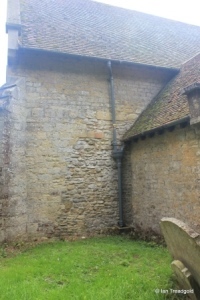 The bulk of the north side of the chancel is taken up by the vestry with the east end of the north side of the chancel showing much rebuilding work. 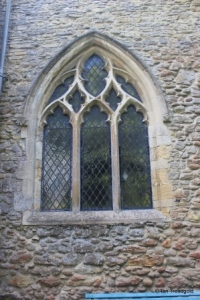 The east window is of three trefoiled lights with net tracery above under a pointed arch. 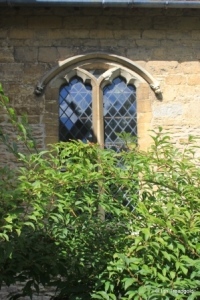 The south side of the chancel has two windows and a priest’s door along with a string course running around the door hood mould. 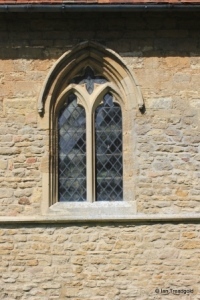 The eastern window has two trefoiled lights with a quatrefoil design in the tracery under a two-centred arch. The western is partly obscured by the shrubs but is of two wide trefoiled lights directly under a four-centred arch.